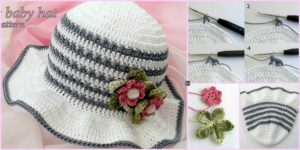 This cute Crochet Brimmed Baby Hat is great when you want to block the sun from your eyes and look good. 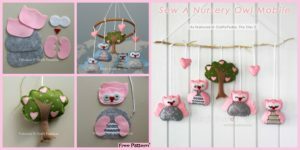 This design is for those little babies who’s age is 3 to 6 months and are feeling like they want something fashionable! With this pretty hat, you can protect your little cute babies from the sun, if you are enjoying a vacation at the beach or just taking a walk on a sunny day. 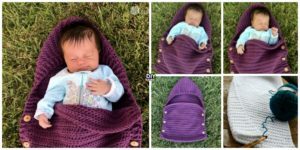 This Crochet Brimmed Baby Hat hat is made with two colors of your choice, and the free pattern is down below from the link at the bottom of this page. 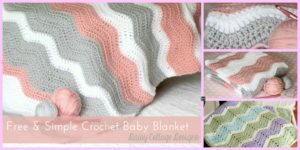 I hope you enjoy crocheting this! 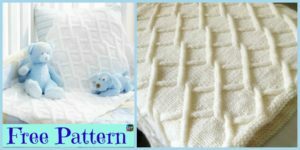 You may also like:Crochet Newborn Sleep Sack – Free Pattern.